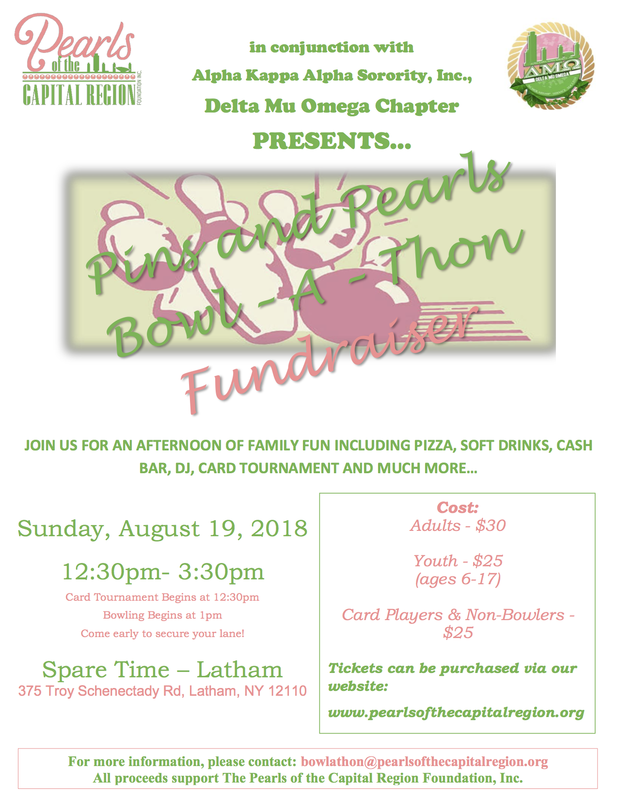 Pins & Pearls Bowl-A-Thon - Pearls of the Capital Region Foundation, Inc.
Can't attend but wish to support? Then sponsor a lane! Promote your business or organization. Lane sponsorships are $100.00 per lane which includes advertising during the event. Click here to PAY NOW, sponsor a lane, or make a donation. Click here to register and PAY AT THE DOOR.